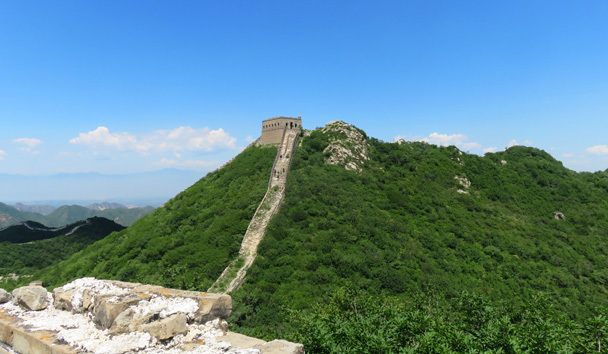 In Brief: Ten photos of Great Wall, green hills, and blue skies, from our hike along the Switchback Great Wall. 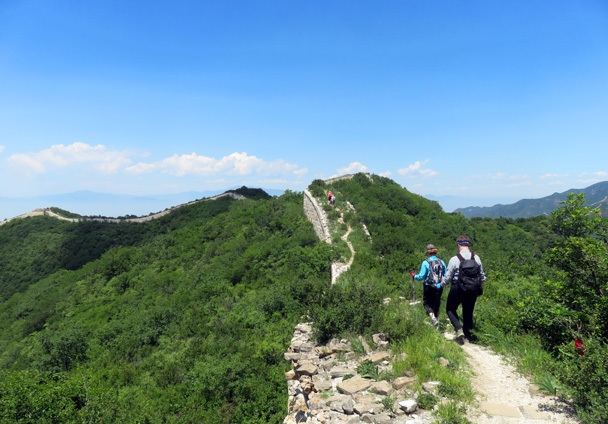 Stepping down the Great Wall. 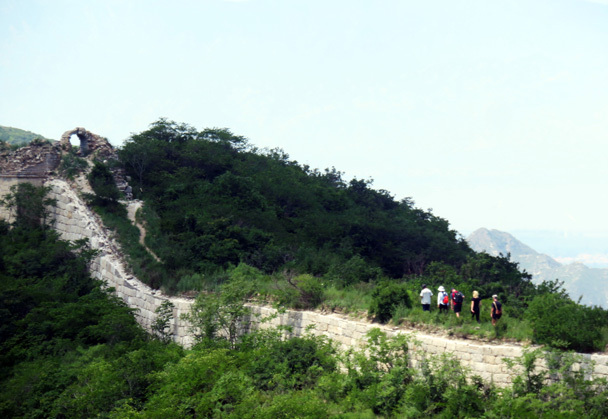 The Switchback Great Wall trail is a few mountains west of the famous restored Great Wall at Badaling. 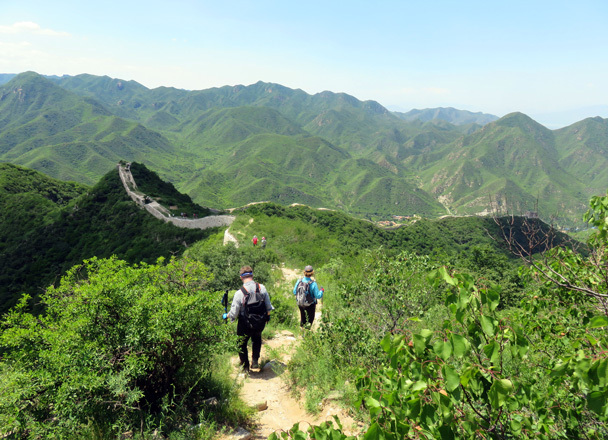 On this visit we did the easier version of the trail, cutting out the super-steep climbs on the southern section. 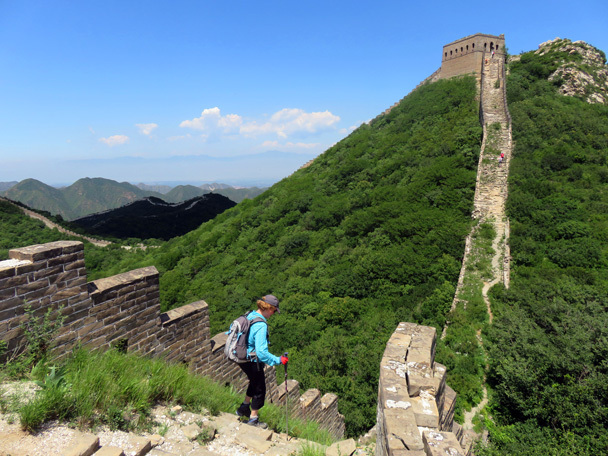 Up on the wall, and a great shot of the General’s Tower, the tallest tower on this version of the hike. 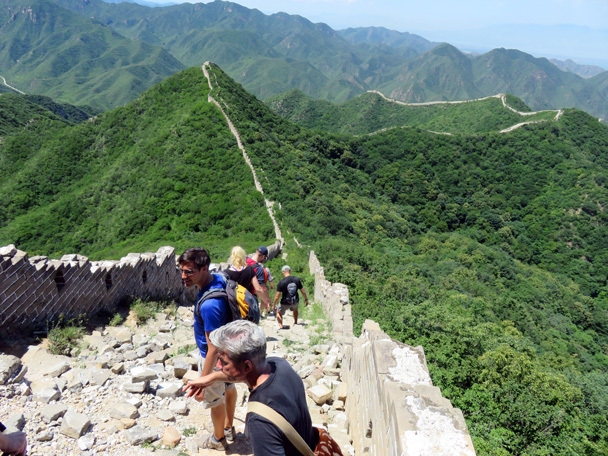 The wall dips down, and then it’s a steep climb up. 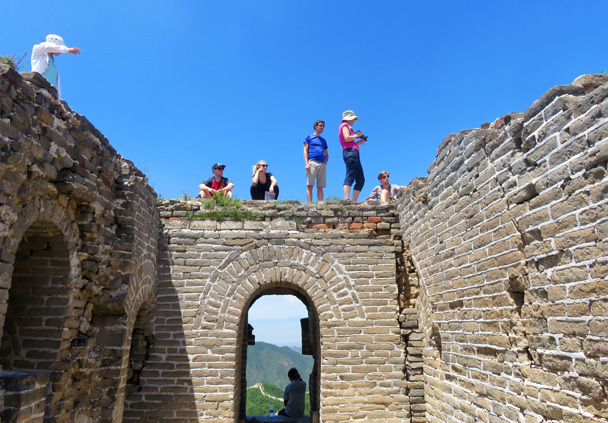 On top of the General’s Tower. 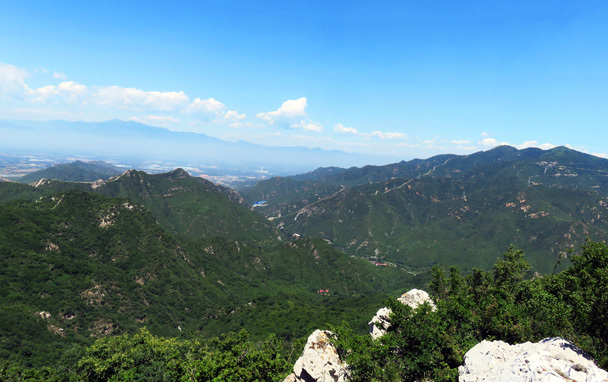 Views of mountains and more Great Wall in the distance. 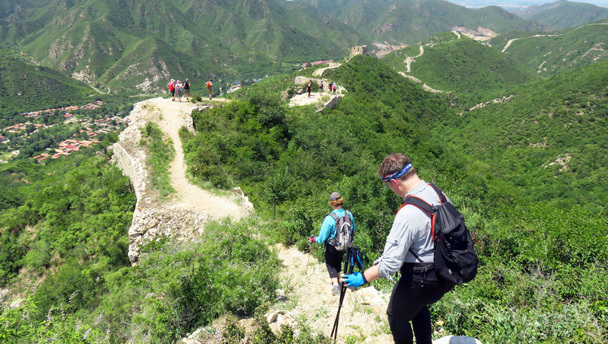 The hike continued along the line of Great Wall seen in the background of this photo. A flatter part of the wall. We hiked up through the remains of a tower. 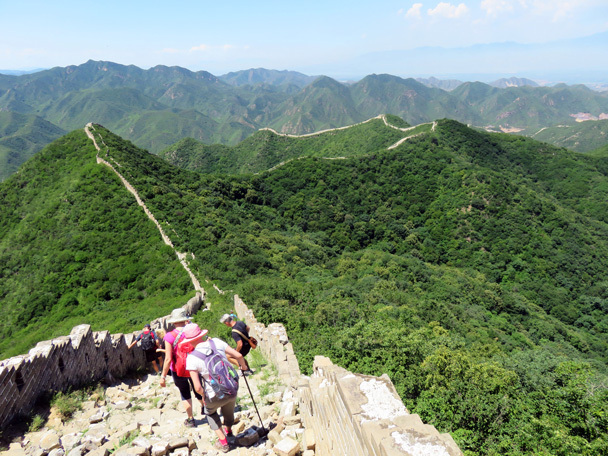 We continued further along the wall, and then hiked down to finish in the village on the left of the photo. 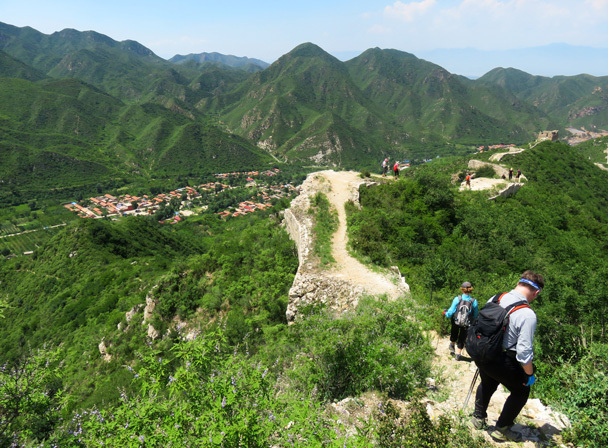 In Brief: Photos from an 18km walk through the hills of Huairou District.